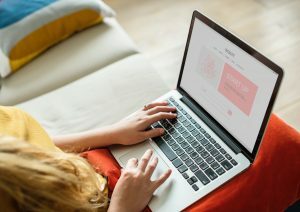 Although the term ‘eLearning’ was first used in 1999 at a CBT systems seminar in Los Angeles, the concept of eLearning can arguably be dated back to the invention of reading and writing, the establishment of the teaching profession or the introduction to technology as these are all vital components to eLearning. So behind the seemingly new notion of ‘eLearning’ there is however a rich history. If we dilute eLearning to be as simple as assisted learning or teaching with the assistance of learning aids we could go back as far as 200 AC. A piece of history was found from the Roman Empire that depicted a teacher surrounded by three students, two reading parchment paper and one with a writing slate. Dr. Marcel Mirande has compared this scene in history to the modern laptop, insinuating this was the Roman’s version of eLearning, using all of the materials they had to create learning aids. A while later in 1954, a Harvard professor named B F Skinner invented a similar machine that students could view a question by looking into a hole, and have to answer it by writing the answer on a roll of paper. Similarly to Pressey’s invention, once the learner had answered the question correctly they were rewarded and able to move on, Skinner claimed his invention had the potential to be suitable for all age ranges of students. By the 1980’s, the internet and the personal computer were founded, this allowed people to learn from the comfort of their own home and progressed eLearning massively. Notably in 1976, the open university launched its first online class and Coastline Community College was established, becoming the world’s first fully remote college. Into the 2000’s, eLearning became more and more popular and businesses began to use eLearning to train their employees, giving experienced and new employees the opportunity to learn more and improve their industry knowledge. It wasn’t just the workplace that eLearning thrived but also at home. eLearning gave people the ability to access programs that allowed them to undertake online degrees, increasing their knowledge and potential beyond the walls of their own homes. A decade later and 2010 introduced a new wave of eLearning inspired by the overwhelming popularity of social media with MOOCs (Massive Online Courses), SOOCs (Selective Open Online Courses) and of course YouTube learning. Both individuals and businesses were now taking advantage of the wonders of eLearning. In 1991, Armada was founded by Nigel Platts and Steven Smith, at the time a Technical Authoring company. Platts and Smith started things off by buying a single computer on a credit card and each used the computer in shift like patterns. Once the business grew, office space was rented and eventually bought. By 2000, Armada was providing face-to-face technical training and their first eLearning courses for the Royal Mail and as the world of user guides moved online so did Armada, revolutionizing and dominating today’s market. So although eLearning is a seemingly new addition to traditional learning, it’s depth goes way beyond the surface and the concepts of eLearning can be dated back to hundreds of years ago. If you’re not entirely sure if eLearning will benefit you or your business, get in touch with Armarda and we’ll be able to tell you honestly if/how our eLearning could change the way you work. ← Why is eLearning so Effective?